Jim Self (b.1943) holds the DMA degree from the University of Southern California where he currently teaches tuba and chamber music. As a renowned tubist he has performed in more than 1000 soundtracks for motion pictures and television. He is also a regular member of the Pasadena, Pacific, and Hollywood Bowl orchestras in addition to the Los Angeles Opera. His compositions and arrangements, for a wide variety of soloists and ensembles, have been performed and published worldwide. 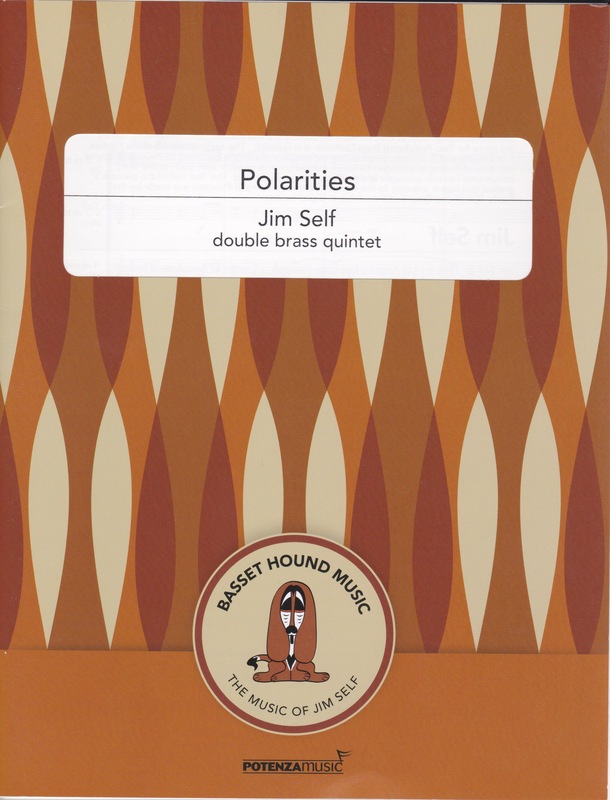 Polarities was composed in 2005 and premiered at USC by two brass quintets coached by the composer. It is divided into three brief sections, A la Fanfare, A la Scherzo, and A la Waltz. There is much antiphonal interplay between the two quintets and each of the performers has a solo passage. The writing is rhythmically interesting, the harmonic language tonal, and the scoring idiomatic. This is sophisticated music performable by advanced students. The layout and printing of the score and parts are beautifully done with high quality paper. There are two YouTube videos of performances of Polarities, one by a professional ensemble, https://www.youtube.com/watch?v=9EIV9xy8brc and one by a student group conducted by the composer https://www.youtube.com/watch?v=Vq4ykod9go4.